Ever been cat fished before? I’m speaking in a completely professional sense here. If you don’t know what I’m talking about then you’ve clearly never watched the hit MTV show Catfish. The programme sees naïve Americans getting in touch with MTV to help them basically force the person they’ve been chatting online into a face to face confrontation. 99.9% of the time the person they thought they were talking to is fictional; either using someone else’s image, creating an entirely fake persona, photo shopping themselves into oblivion or just completely lying about their situation- think along the lines of pretending to be a successful model or music producer when you actual work in the local shop. 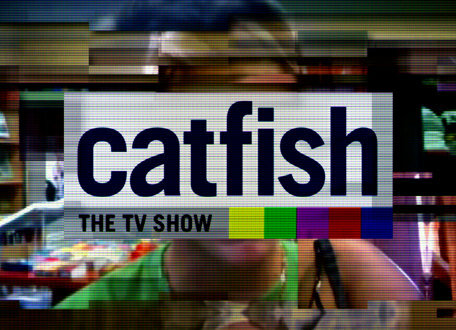 The person that has been fooled into believing has been what MTV refers to as ‘cat fished,’ and now that same term is now widely applied to a situation where a false persona or a hoax has occurred. So what does this have to do with Recruitment? Well a few consultants have spoken to me lately about what they deem to be ‘Catfish candidates’ on the market. To be clear, I am not referring to white lies on a CV which we all know usually get found out down the line; Fluent in languages you couldn’t even order a beer in? Professional magician in your spare time? These are bad enough, but no, what we are coming across is entirely fake candidate CVs. Recently a sales candidate applied to a Nine Twenty vacancy and looked great for a role – I forwarded this onto one of our sales consultants who informed me they had actually received a CV from the same person, same contact details and even the same photograph but with completely different career history and references listed! Strange right? Fast forward to last week when we received a third application, again with the same contact details and yet another career history. Do a quick search on fake LinkedIn profiles- it won’t take long to see it is pretty widespread. There is even a twitter account set up where recruiters essentially ‘out’ false candidates and it seems to be a pretty even split between completely fake CVs created by recruiters and real candidates with imaginary experience. So what can you do to avoid falling victim in an ever increasingly digital world? Firstly, if you are suspicious about a CV it is worth checking online: search for this person on LinkedIn, do they have social media accounts? If you have an image, the Catfish TV show love to google image search it, more often than not proving a stock image has been used. Take a look here to see numerous examples of this on LinkedIn and how to check. Secondly, if you find them online, do you have connections in common? Does this person claim to have worked somewhere you have contacts? This is a good way to subtly investigate a little further. And thirdly, pick up the phone and ask! If you are never able to get through to a candidate, alarm bells should be ringing. If you do get through, any recruiter worth their salt should be able to ask enough probing questions to establish reality vs fantasy. So have you ever experienced this in a professional sense? What steps have you taken to determine what’s really going on? Get in touch with Nine Twenty and tell us your experience!